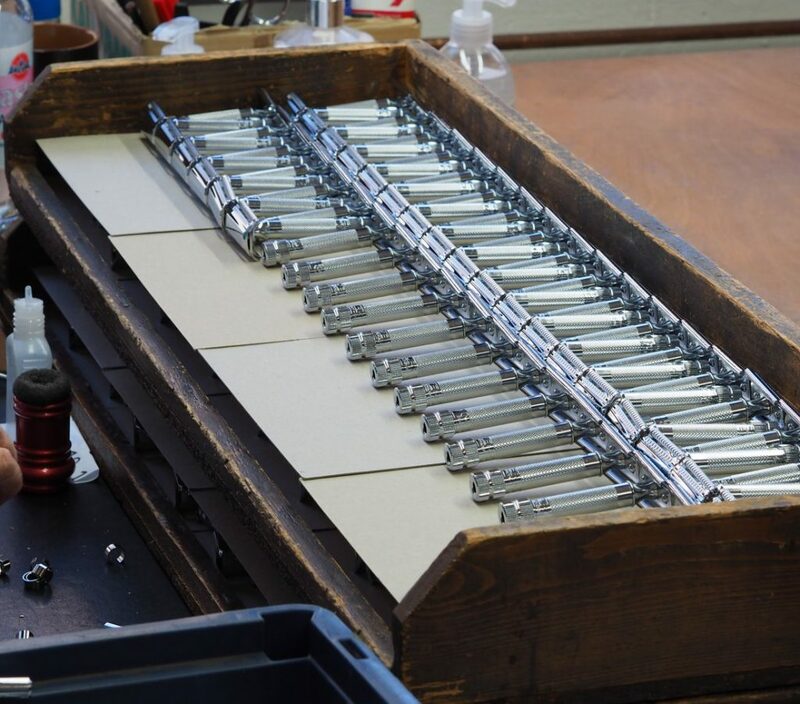 Sleek and effective, the slant safety razor is known for its precision. Less popular than open comb or closed comb safety razors, slant models are gaining popularity among new and experienced wet-shavers! 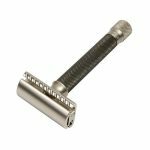 What is a Slant Safety Razor? 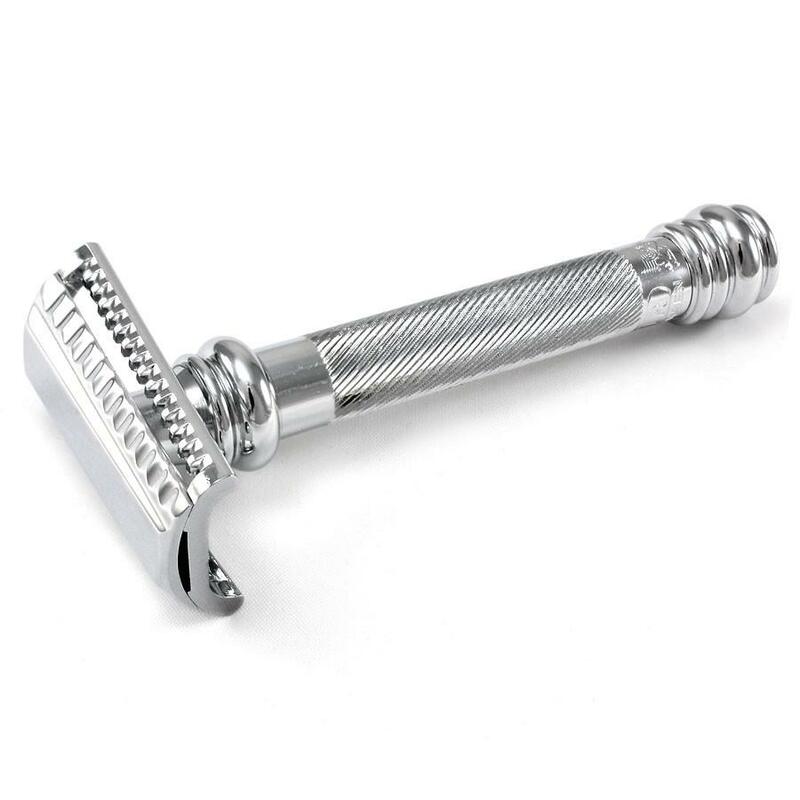 A slant razor safety razor has all the features of a traditional safety razor with the exception of its head design. Instead of a straight blade guard, slant safety razors have angled blade guards. With open comb razor, the blade guard has the shape of a comb, and is designed to leave more of the lather on the face during the shave. For closed comb razors, the blade guard is a simple straight bar. Slant razors on the other hand have a blade guard with a continuous slanted bar. This leaves more room between the blade and blade guard making it slightly more aggressive than an open or closed comb razor. Shaving with a slant razor is not too much different than shaving with an open or closed comb safety razor. Compatible with standard double edge safety blades, the blade should be kept at a 30-degree angle, without applying pressure, when passing through hair. As the blade is on a diagonal, it can reach more hairs which results in a closer and more precise shave. For this reason, it is preferred by those with thick and coarse hair. Those with sensitive skin might also benefit from slant razors because it requires less passes across the face which minimizes the amount of contact with skin and irritation. However, the slant razor can also be very aggressive if the user is not familiar with wet-shaving practices. We recommend slant razors to experienced wet-shavers who have had some practice with proper shaving techniques. 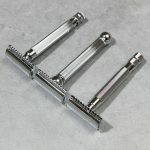 Slant razors are not as readily available as open or closed comb razors and are offered by a limited number of manufacturer’s, primarily Merkur. Merkur offers two slant models, the 37C and the 39C. Both the 37C and the 39C have the same slanted head design and differ in their handles, weights and lengths. Merkur 37C is almost half the weight (2.4 oz) of the 39C (4.25 oz) and other standard safety razors but remains balanced and lightweight. The 39C also has a longer handle with a barber pole design. Both handles are knurled to provide a firm and comfortable grip while in use. 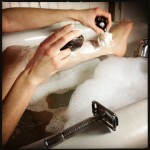 Ready to try a slant razor? Shop Merkur slants.